Engage in peer-to-peer discussions about high-quality inclusive programs. The CoL will be led by Jaye Harvey, Ed.D. Jaye is the State Coordinator for the Virginia Cross-Sector Professional Development (VCPD) team. Her email address is jhwellons@vcu.edu. In addition to the online CoL sessions, a live Summer Institute will be held. 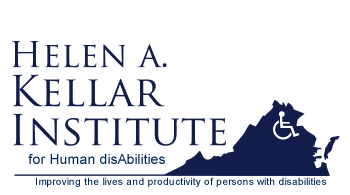 The summer institute will provide a one-day workshop to continue the CoL through face-to-face interactions and activities designed to apply what has been learned through the online sessions. The live workshop will be on July 17, 2019 in Roanoke. The workshop will be held in conjunction with the Creating Connections to Shining Stars Conference and will take place on the preconference day. Participants may attend the preconference day only or may attend the entire conference. Conference registration information will be provided in the near future. The VDOE will provide each team with a $1000 stipend to use towards conference registration, lodging (if needed), as well as travel. More information and a budget form will also be provided in the near future. All team members are to attend all CoL sessions and the summer institute. Members are to be together in the same room during the CoL sessions. Teams are to meet at least one time between CoL sessions. There will be activities identified by the CoL leaders for teams to complete between sessions designed to provide further support in increasing and improving inclusive early childhood programs. Points for educators working towards licensure renewal (recertification) may be awarded for participation in the online CoL and live events. A Certificate of Completion providing documentation of the activity and clock/contact hours will be provided for the online CoL and each individual live event. VDOE provides the following requirements regarding professional development activities: Point value is one point per clock/contact hour and there must be a minimum of five hours per activity. Any educator who wants to use these items as a professional development activity for recertification needs prior approval of the school division. The school division will be responsible for designating the actual number of points that can be earned for participating in the CoL.
Every team member will have to register individually for each CoL session. Certificates of Completion will only be available to those who have registered for the event. 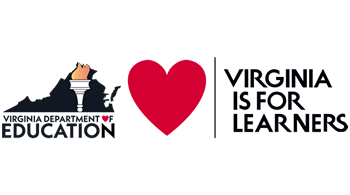 To register for the events you will need an account on the Virginia LEADS (Leadership in Effective and Developmentally- Appropriate Services, ECSE) website. If you do not have an account, you can create one at https://va-leads-ecse.org/home. Click on Create an Account at the bottom of the home page. 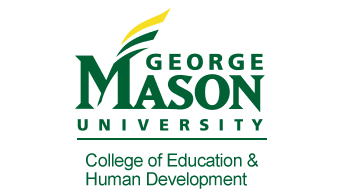 To register for the CoL, visit the Communities of Learning page at https://va-leads-ecse.org/communities-of-learning Go to the Schedule Section. Click on the date for which you want to register and login. You will see the CoL event page and the Register Now button will be in the top right corner. Click on Register Now. The page will refresh and you will then see a registration confirmation message on the page. Once you have registered, you will receive an email confirmation. The day before the session, you will be provided the connection information needed to participate in the CoL session. We will be using WebEx for the CoL sessions. WebEx is a web conferencing tool. Participants will join the meeting online using the link provided and will also call in using the phone number provided. Please do not use the computer for audio. Please plan to login to WebEx at least ten minutes prior to the start of the meeting to ensure you are connected and have video and audio working properly. Since team members are to be in the same room for the meeting, only one team member needs to login.